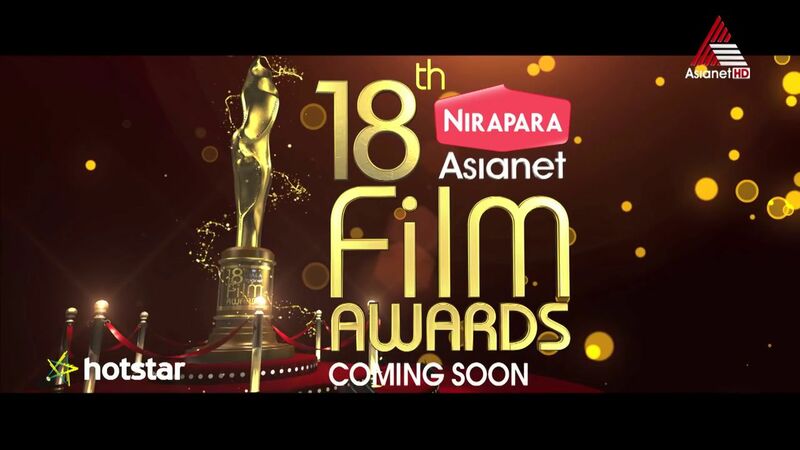 Asianet had started showing the promo of upcoming Asianet Film Awards 2016, This time title sponsor is Nirapara. 18th Asianet Film Awards is coming soon on Asianet very soon. Asianet is the most popular malayalam channel and every year they conducting film awards events. We can expect the event 2016 Asianet film awards soon and they will telecast it on channel. Event venue of 18th Asianet Awards is not available, we will update the same once its available. We can expect more entertainment elements in the 2016 season of Asianet film awards. the main highlight of this years awards is the title sponsor is not Ujala , its Nirapara. Every year keralatv.in updating details of Asianet film awards. We are updating about the Event venue, Event date , winners, images , videos, telecast date and time etc here. You can expect the winners details of Asianet Film Awards 2016 here, once its announced. You can browse the previous years winners of asianet film awards from here. There are lot of categories in this awards, we have recently posted about Flowers TV Awards. Another important film awards in malayalam is by Vanitha. Mazhavil Manorama will air the Vanitha Film Awards 2016 soon. Mammootty was the best actor of Asianet film awards 2015, Best Actress was Manju Warrier. You can browse the complete winners details of 2015 season of Asianet Film Awards from keralatv.in. Can i watch Asianet Film Awards 2016 through Hotstar app ?, Once they telecast the event on Asianet we can expect the same through hotstar app. There are around 30+ categories in the Asianet film awards. Stay tuned keralatv.in for more updates of Asianet Film Awards 2016. As you are aware My God Malayalam movie of Shri. M. Mohanan released in Dec. 4, 2016. My Son Master Adarsh (13 yers) acted the key role in it. We are getting very good appreciation for his acting from across globe. Please let me know the list of Malayalam Film Awards ad the procedure to apply for the same.